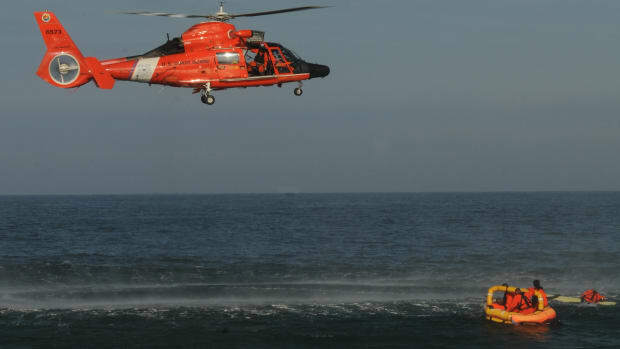 If the Coast Guard is doing this to find a person in the water, they probably aren’t going to find them alive. There is nothing more dangerous in boating than an unexpected trip over the side. Medical problems may be the most common at-sea emergency, and most flooding may be caused by poor maintenance of through-hull fittings, but going overboard is far and away the deadliest mishap at sea. How dangerous? 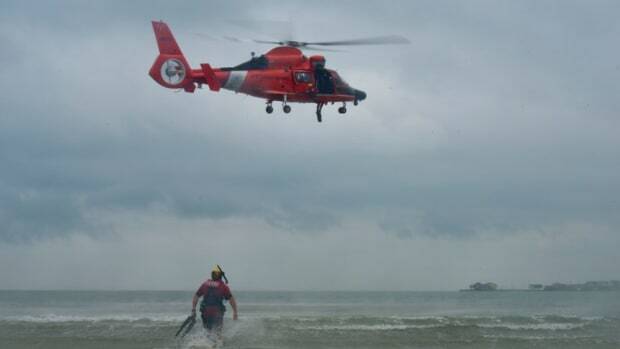 If the Coast Guard gets called to look for you, there is a 40 percent chance you’ll never be seen again, alive or dead. 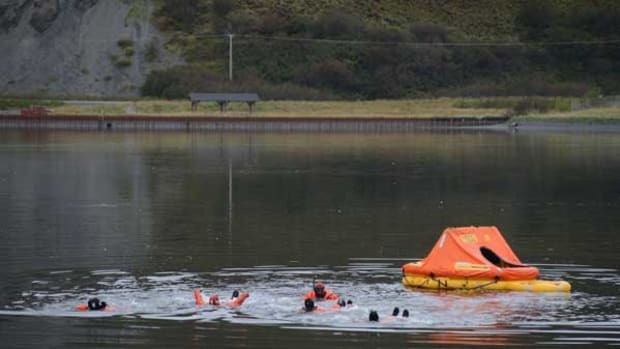 You can dramatically increase your chances of survival by having the right gear and wearing it, but what should those left aboard do when a crewmember ends up in the water? What I know for sure is if someone falls off your boat and the first thing you do is hit the MOB button on your GPS or get your hands anywhere near your VHF radio, then you are doing it wrong and just made things worse. 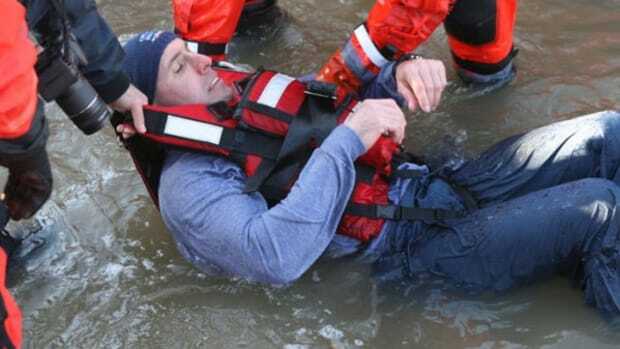 Most mariners — professional and otherwise — fail to acknowledge that there are two types of MOB situations: when the person overboard is in sight, and when they aren’t. 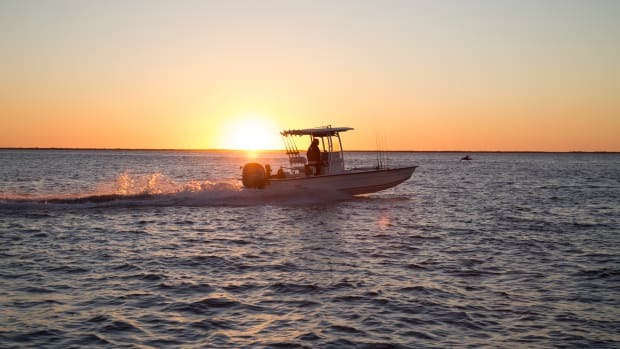 Each of these situations needs to be handled differently, so your boat’s MOB procedures should account for both. 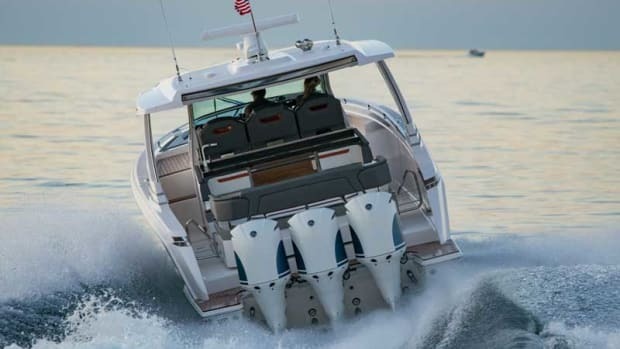 If you don’t have a written MOB procedure for your boat, get started. If you do have a written MOB procedure, get ready to add another. When someone — anyone — has eyes on the victim in the water, the only thing that matters is keeping them in sight. MOB buttons, VHF calls or simply hitting the DSC button only serve to distract and confuse the vessel operator and crew. Make a VHF call, and someone will want to talk to you. You don’t have time for that. Throw the life ring — even if they’re wearing a life jacket and even if they are an Olympic swimmer. If there are two crewmembers left aboard, the non-driving person maintains sight of the person in the water and calls out and points toward their position until the operator sees the victim — that’s all. They do not look for a line to throw, nor do they grab a boat hook. They keep their eyes on the person overboard and nothing else. Approach the victim at a slow speed and maintain visual contact. Talk to them and assess their condition. When you are close enough to talk, you can move on to step three. Determine the type of recovery gear to be used and get it ready — but do it slowly. Rushing makes things worse. If you’ve set up your boat properly, you’ll already have a throw line near the rail. Secure the propellers if necessary and deploy your reach device (rope, pole, arm, etc.). This step is completed when the person in the water is holding a line or pole, or a crewmember has their hands on them. Slowly bring the person back aboard. Again, rushing only makes things worse. Mind the exhaust if you’re bringing the person aboard near the stern. Once they are back aboard, don’t be in too big a hurry to get underway. You’ve still got two steps to get through. If they are well enough to laugh at their misfortune — and the look on your faces — they are probably fine. If the water is cold, get them dry and inside, if possible. Before deciding everything is OK, give the recovered crewmember a full-body check for injuries. The adrenaline rush of going over the side can mask the pain of an injury. Look for bleeding and broken anything before moving on to the next step. Do you need to head in? Is it freezing out and the recovered crewmember has no dry clothes? Did they sustain injuries? Now is the time to head back or call for help if you need it. Maybe it’s nighttime and the MOB is out of sight within seconds, or perhaps you had them in sight but lost them. This is an entirely different MOB situation, and your checklist should change, accordingly. If you saw the person go over at night but can’t see them, throw flotation devices overboard, but also throw lighted flotation devices. Once that’s done, and if you still can’t see them, this is when you grab the VHF radio. Activate the MOB button, activate your DSC VHF radio, call in a mayday. This is not a pan-pan; this is a true emergency. 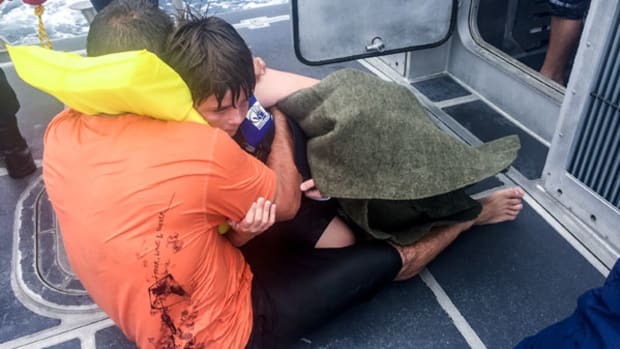 This situation is the most dangerous in boating and a true distress situation. If there is more than one of you left aboard, the non-operator calls in a mayday and works the VHF as the operator moves to on to the next step. Slowly maneuver the vessel to the most likely location of the victim and come to a stop while calling out for and listening for a response. Search all quadrants while calling out in all directions and listening for a response. If you hear or see nothing, move on to the next step. 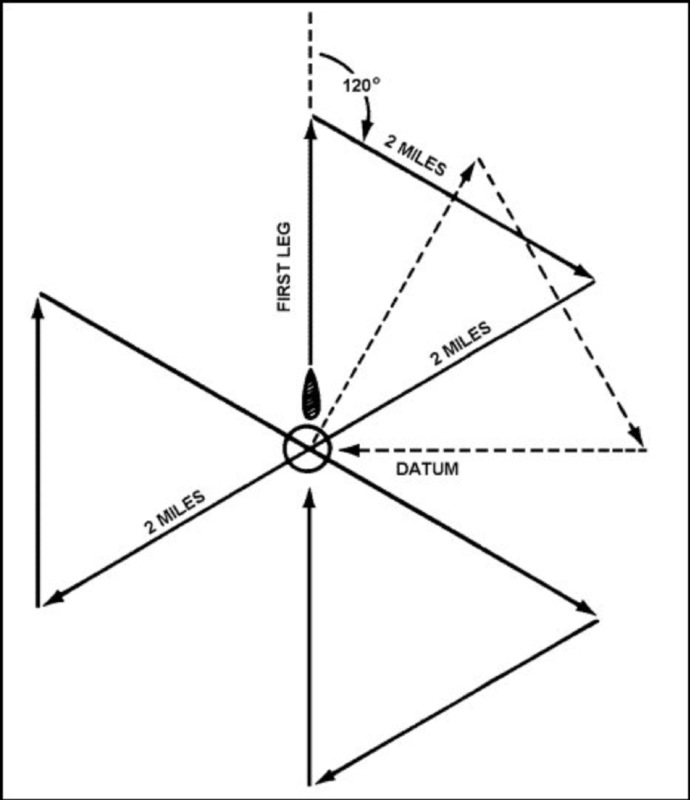 Determine your vessel’s drift (direction and rate). If you threw that lighted flotation, this is your drift datum. How fast it moves in the water is about how fast a person in the water might move. Pass this information to the Coast Guard and keep calling out — and listening — until you determine the drift and rate. The Coast Guard will also ask for sea state and winds on scene. Maneuver slowly in the direction of the drift while keeping sharp lookout. You may want to start a sector search (see diagram above). Move slowly and remember to listen. And think — what would you do if you went over and you knew the boat lost you? Would you have tried to make it back to that last buoy or daymarker? Maybe they would have, as well. 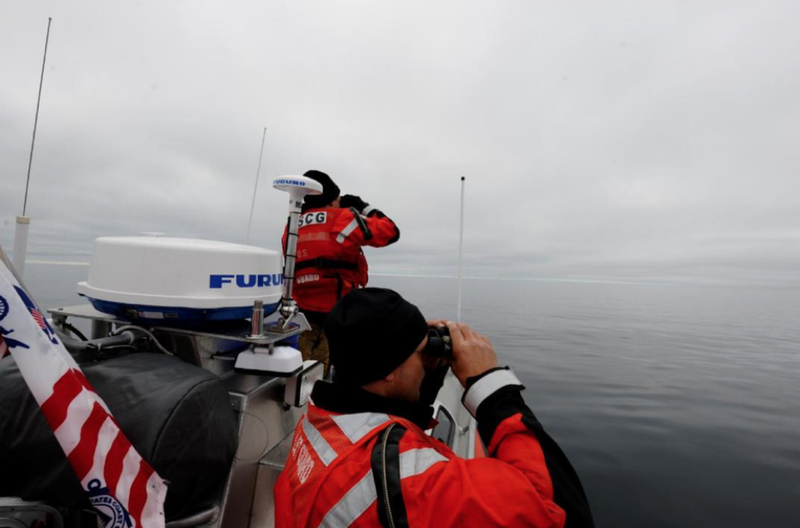 Continue to search and wait for instructions from the Coast Guard. By this time, they will have assets on the way to join the search. Make no mistake, losing sight of a crewmember over the side can quickly make the list of the worst days of your life, and that’s if you&apos;re lucky enough to get them back. Unfortunately, most don’t make it back to the boat. Train to recognize the difference between the two types of MOB situations and how to treat each of them. 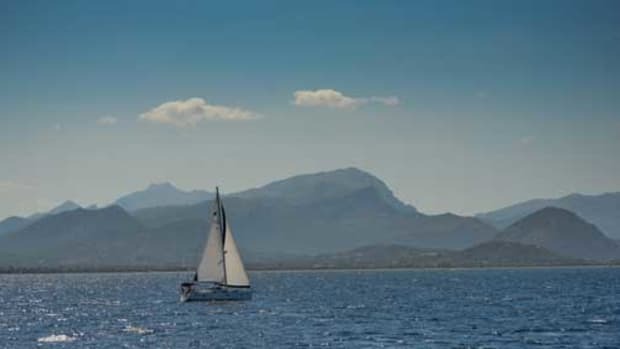 Make these procedures your own by adjusting them for your vessel and boating activities, and practice them during your drills. It’s odorless, colorless and lurks aboard every boat with an engine — carbon monoxide, the silent killer. Read Mario Vittone’s latest Lifelines: Safety And Rescue At Sea blog to find out how a little knowledge, preventative maintenance and $99 can save your life.